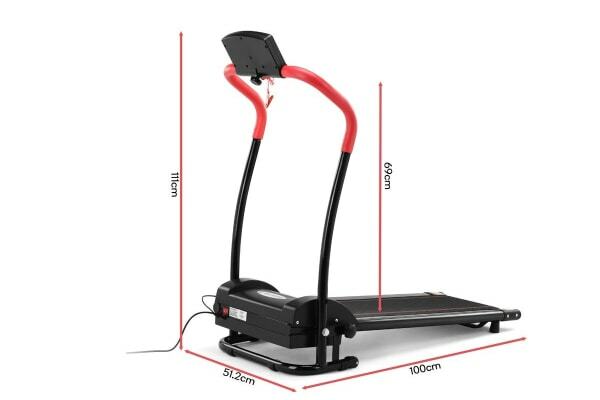 Forget running tracks and expensive gym fees, sweat it out from the comfort of your own home with this foldable treadmill, featuring 3 training programs to help you smash your fitness goals! 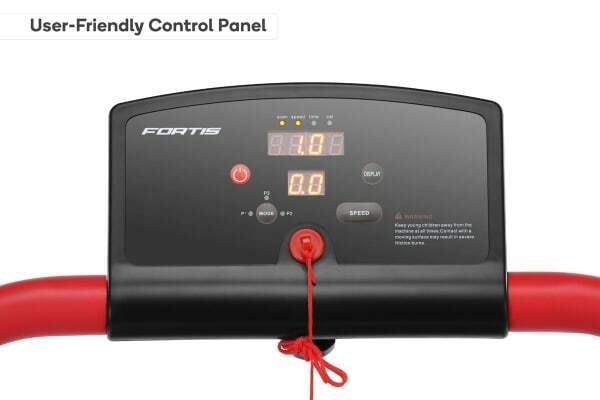 Built with a gym-grade durable anti-slip composite running board, hit the ground running with the Fortis 300mm Belt Electric Foldable Treadmill, the perfect home addition to help whip you into shape. Whether you’re training for a marathon, hike or just a light jog, this treadmill has 3 training programs and three inclination levels to choose from to help you customise your workout. 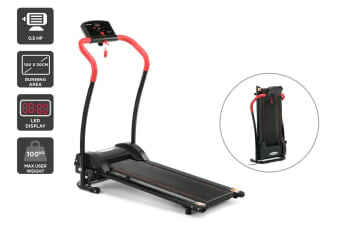 Set, track, monitor and smash your fitness goals with the sleek LCD display and the pulse sensors. No need for this treadmill to take up your whole living room or garage, the foldable design packs away easy for your next sweat session.